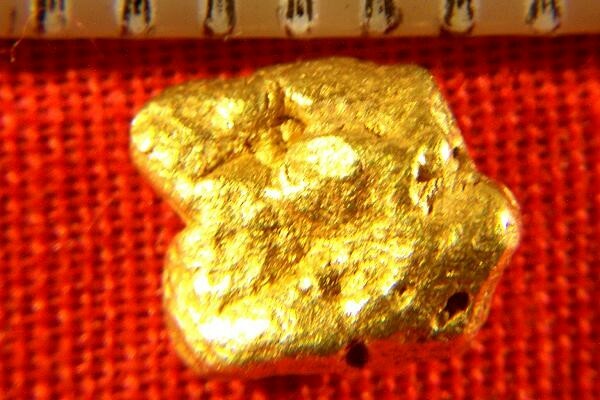 This is a beautiful natural Gold Nugget from the Mother Lode Region of California. It weighs in at a nice 17.1 Grains (1.11 Grams). It is 5/16" (8 mm) long. This jewelry grade California Gold Nugget is very smooth and has a real pleasing shape. The color is awesome and it has a ton of character. 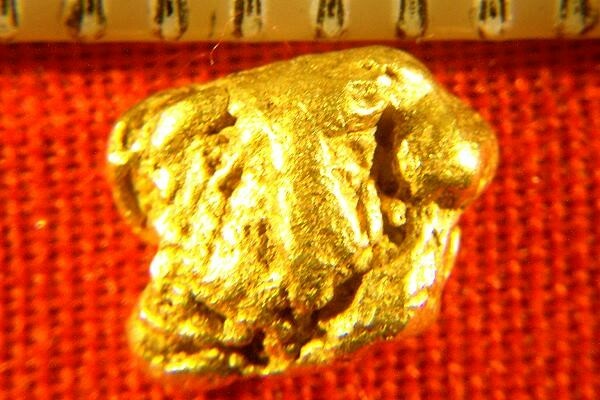 This gold nugget would look great in your collection and makes a great investment with gold prices rising and high quality natural gold nuggets so rare.